Lets be honest for just a minute, there is nothing better than Chinese take-out especially on a lazy day when you don’t feel like cooking. I’ll be the first to admit, its one of my guilty pleasures! I always forget how easy and amazing crockpot meals are- even though they take a little extra planning the day before (purchasing all the ingredients) They are so easy! What was that cheesy commercial for the at home rotisserie chicken oven who’s tag line was, “Set it and forget it!” Well that is all you have to do with the crockpot! And this beef and broccoli is no different. Throw everything together, turn it on and when you get home from work you have Chinese “Take-out” with out leaving the house (plus this recipe feeds 4 people for $15! Try doing that with take-out)! My friend Kim introduced me to this recipe that she got from the blog “Table for Two” since I first had it at her house, I have made it three times its so super-duper delicious! It will become an instant favorite in your house too! 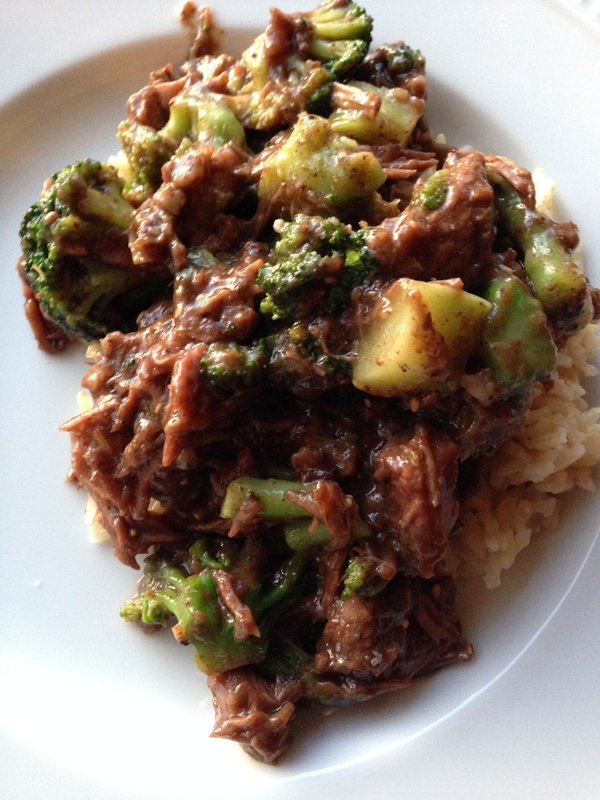 In the insert of the crockpot, whisk together beef consume, soy sauce, dark brown sugar, sesame oil, and garlic. Gently place your slices of beef (raw) in the liquid and toss to coat. *Cooks note- depending on the temperature of your crockpot and how you like the meat cooked the cooking time my vary. I cooked ours for 6 hours and it turned out very tender almost like shredded beef (it was awesome!) If you prefer larger chunks of whole beef the cooking time will be closer to 4-5 hours! Personally I say the more cooking time the better in the crockpot! 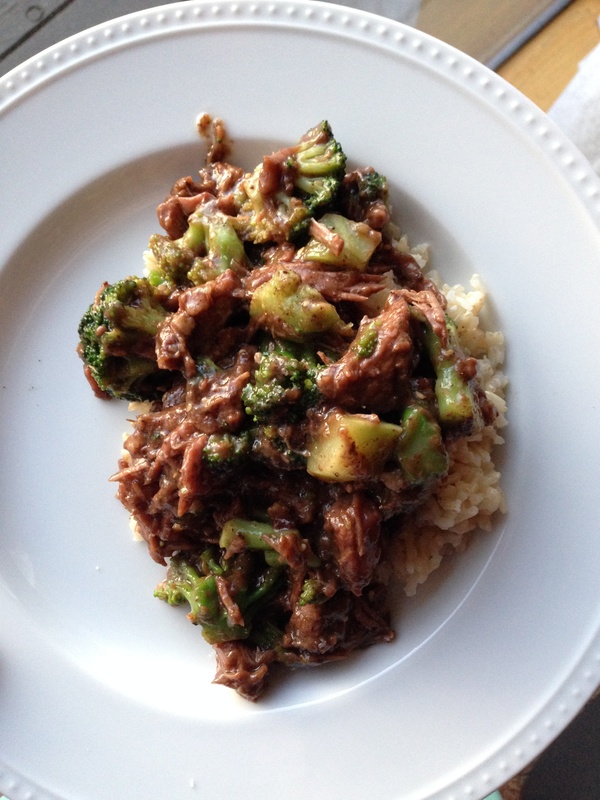 This entry was posted in Entrees, Recipes and tagged beef and broccoli, Chinese take out, fake-out, take-out by skibootsinthekitchen. Bookmark the permalink. Can’t wait to try this recipe. It sounds AWESOME!